Back in August, we reported that Donald Glover and Rihanna were working on something together in Cuba, possibly with frequent Glover collaborator (and This Is America director) Hiro Murai. It was one of those things where fan pages we had never heard of had somehow gotten big inside scoops, which somehow makes them seem more trustworthy even though their veracity was impossible to prove, with the general consensus being that Murai was directing Glover and Rihanna in a movie that may or may not have been called Guava Island. As we noted at the time, though, it was entirely possible that the fan rumors were totally wrong and that the three of them were just hanging out in Cuba. Now, even though there has been some Guava Island-related movement, we’re still not entirely convinced that it’s a real thing. 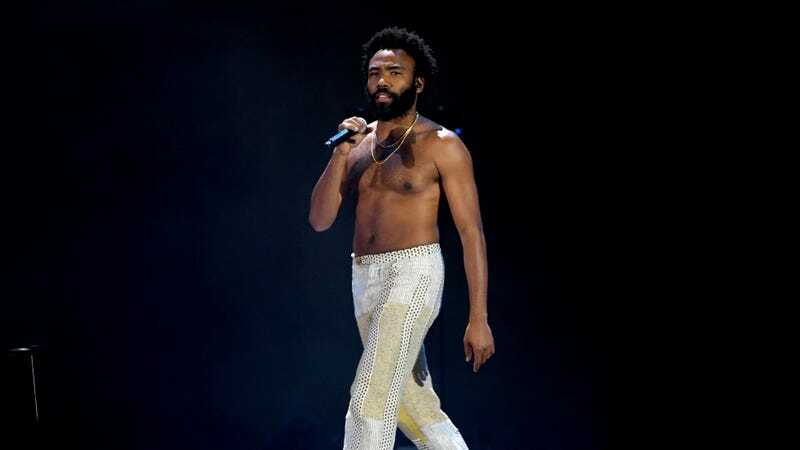 Over the weekend, Glover held his PHAROS festival in New Zealand and showed off a trailer for Guava Island that seemingly confirms it’s both real and a movie, and though the trailer hasn’t been publicly released, there is a fan-filmed version floating around on social media. There are a handful of interesting things in this trailer (Letitia Wright! ), but one thing we want to point out is that it bills the movie as a “Childish Gambino film,” connecting it to Glover’s musical artist persona, which sort of implies to us that it’s related to Glover’s musical career and not his acting career. Either way, everything we know about the movie is courtesy of leaks, so we’ll have a better idea about all of this when/if it actually gets announced/released.